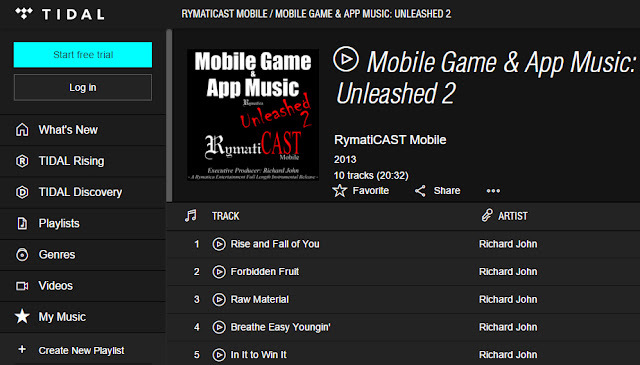 Rymatica's/RymatiCAST Mobile's "Mobile Game & App Music: Unleashed 2" is now streaming at Jay-Z's $56 million acquisition of the music streaming service site and mobile app "Tidal." All instrumentals and sound effects are original and available for licensing opportunities as well (contact Rymatica). The album is executive produced by Richard John.